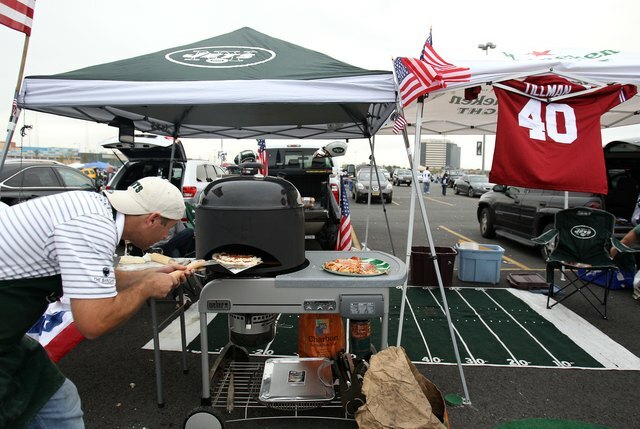 There are many ways to skin a tailgate, including cooking pizza. But the basics score points. Tailgating might be illegal on the road, but in the stadium parking lot, it’s a ticket for fun. 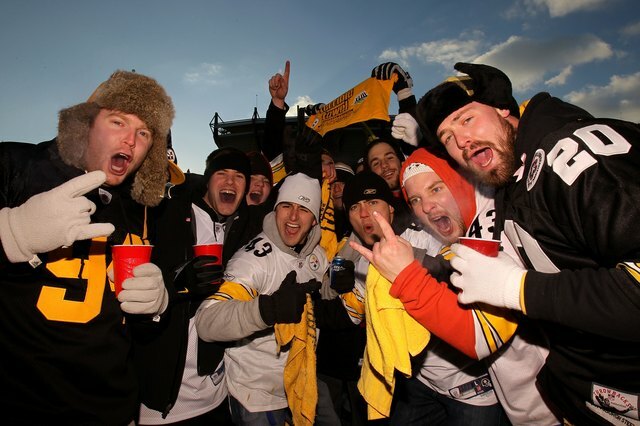 This sporting social event has become so popular that there are clubs devoted to pregame partying in almost every city with a professional football team, and in many university towns as well. And while the day’s menu can be as complicated as your culinary skills will bear, experts say the goal is to keep it simple. Food and drink are only part of the overall tailgating game. Cahn, who travels around the country promoting the joys of tailgating, is well-versed in pregame grub. 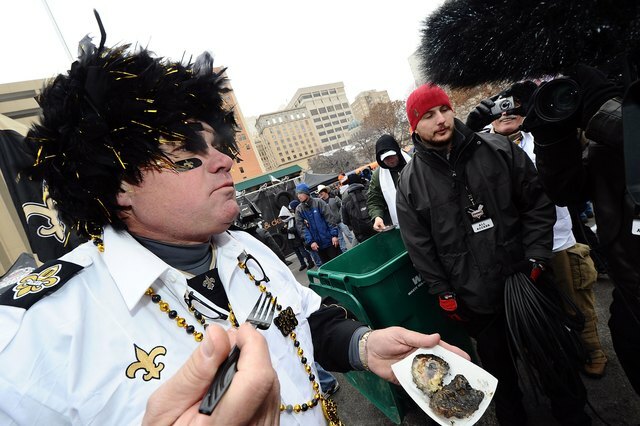 A “professional tailgater” since 1996, he’s served more than 300 pots of his jambalaya, and he’s seen a variety of lineups on tailgaters' grills, from pizzas to steak and lobster. But uncomplicated cuisine makes up the majority of his playbook. Bread and butter with friends is better than a 10-course meal with people we don’t like. “Tailgating is the reception to the banquet,” Cahn said. And at a reception, people don’t sit down at the table -- they walk around and make new friends. So hand-held fare serves a tailgater best. Slice sausage or bratwurst into quarters and offer several different types of mustard for a variety of tastes. Make hamburger sliders for one-hand sandwiches, leaving the other hand free to pass one to a friend. Bacon-wrapped scallops, jalapeño poppers and grilled oysters all make good bite-sized finger foods, with an ear of corn as a simple side dish. Matthew Conner, co-founder of the Boulder, Colorado, Superior Tailgating Club, which supports the University of Colorado Buffaloes, agreed. “People love the classics: burgers, brats and dogs,” he said. “People like the familiarity of the food, and it is easy to eat while standing up.” Conner also sees breakfast burritos at early-morning tailgates, along with barbecued brisket, pulled pork and other meats for sandwiches. For dessert, cookies are quick and easy, and “you never have to take any home,” Conner said. Cahn said you’ll earn extra points with s’mores, the popular graham-cracker sandwich filled with a marshmallow and square of chocolate, then heated. “You can make them beforehand, wrap them in foil, and put them on the grill,” he said. Easy-to-eat and easy-to-carry are simple tailgating theorems. If your tastes run beyond the basic burgers and brats, you do have quite a few other options. “At this point in history, anything that we can cook at home can be brought out to the parking lot,” said Cahn, whose website is tailgating.com. With portable grills, rotisseries and smokers, tailgate menus can rival those of even the best restaurants. And some of the most popular food is local fare. You don’t need a home-field advantage to score points with your menu. Fans attending away games like to prepare dishes that are popular with the supporters of the home team: jambalaya in New Orleans, Tex-Mex in Dallas and clam chowder or lobster in New England. But any theme will work, and themed meals help make planning and shopping easier. Some tailgating clubs often huddle before the season even starts to plan their themed menus for every game. Capturing the local flavor is always a plus with a rabid, homegrown crowd. No matter what you’re serving up, both Cahn and Conner caution that safety should be first. Cahn suggested that you punt mayonnaise-based dishes, such as potato salad, in favor of baked beans or vinegar slaw. But in the end, it’s not the food we serve, but the company we keep, that scores the winning touchdown. In the end, tailgating is about hanging with your friends. Joe “the Commish” Cahn is the former owner of the New Orleans School of Cooking and now travels the country as the self-proclaimed “Commissioner of Tailgating.” He shared the recipe for his jambalaya. “It’s good, because in cast iron, I can do it at home, wrap it in a towel, and it will stay warm for two to three hours and feed a lot of people,” he said. Season chicken with salt and pepper; brown in hot oil in 8-quart Dutch oven or stockpot over medium-high heat. Add sausage; cook five to seven minutes. Remove chicken and sausage from pan; set aside. Add onions, celery, green peppers and garlic; cook, stirring seven to 10 minutes or until vegetables begin to wilt. Stir in chicken stock, reserved chicken and sausage, seasoning salt and Kitchen Bouquet. Bring to a boil. Add rice and return to a boil. Cover and reduce heat to simmer. Cook 10 minutes; remove cover and quickly turn rice from top to bottom completely. Replace cover and cook 15 to 20 minutes or until liquid is absorbed and rice is tender. Stir in green onions. For brown jambalaya, add 1 heaping tbsp. brown sugar to hot oil and caramelize, make a roux, or use Kitchen Bouquet. For red jambalaya, add approximately 1/4 cup paprika or use one-half stock and one-half tomato juice or V-8 for your liquid. For seafood jambalaya, add cooked seafood when rice is cooked. If using an electric stove, reduce cooking time by three to four minutes. • Use 1 cup of rice for every 2 cups of vegetables (onion, celery, bell pepper). • Use 1 1/4 cups of liquid for every 1 cup of uncooked rice. • 1 cup of uncooked rice will make 3 cups of cooked rice -- season accordingly • Cook jambalaya for a total of 25 to 30 minutes, stirring well after 10 minutes.